I have to sit down for a moment. I am in Izmir in Turkey. Somewhere in a part of town where most of the 150,000 refugees live, that are currently in the city of Izmir. I tried to look into the eyes of a man who just received a food package for his family from us. I am looking into a scarred face. There are no eyes left. His fingertips are cut off and he has deep cuts by his forearms. I ask where he got these injuries and he answers that he survived a grenade explosion. He has fled Aleppo, just like the big majority, mostly women and children that I meet on that day. “We are from Aleppo!” This is what I hear most on this day. I had to sit down for a moment, because I needed to get some air. Breathe in, and breathe out. For a moment, I had reached my limits. The four of us had been to Istanbul, Samsun, Ordu, and Adana. These are all places where EBM INTERNATIONAL supports the work of small Baptist churches. We had done quite a few domestic flights and gotten some impressions from the churches. 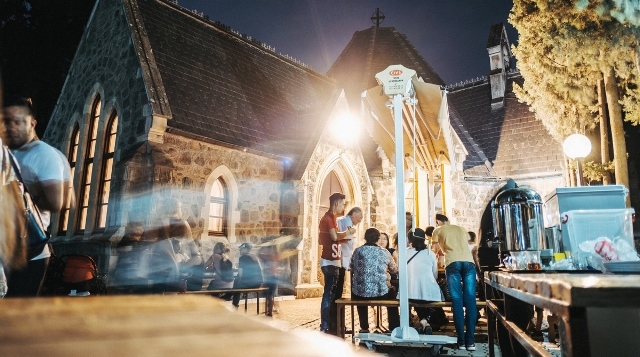 In many places, God is doing amazing things with these tiny churches of 20 to 80 members. 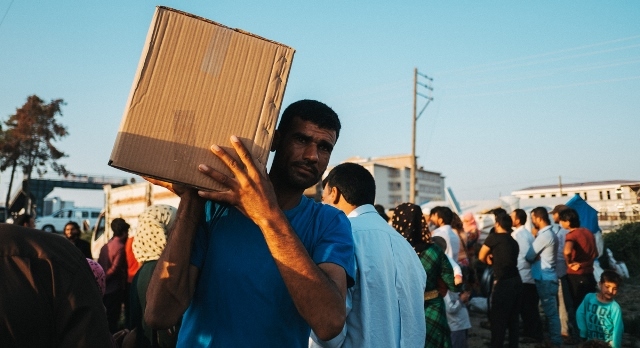 In Adana, we went to an informal refugee camp where about 700 people live. 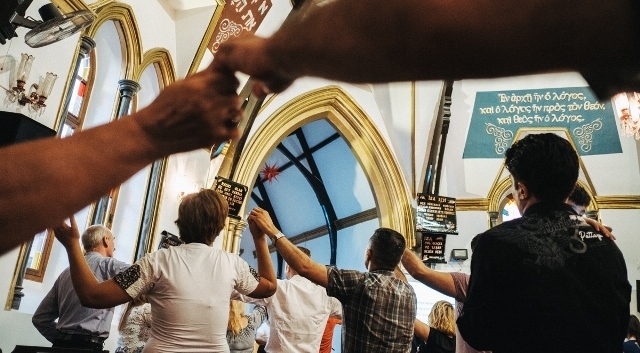 The church there has grown from three to 35 members in the past six years. This is a miracle in this country, where 99.6% of the people are Muslims. Our team of pastors constantly shares support packages, especially in Adana and Izmir. On this day in June, I had the privilege to accompany them. I had to sit down for a moment, because these impressions deeply moved me. There are these people, who do not have anything left, and a food package worth €14 makes such a big difference. There are these pastors, who go beyond to organize distributions to go as well and fair as possible. 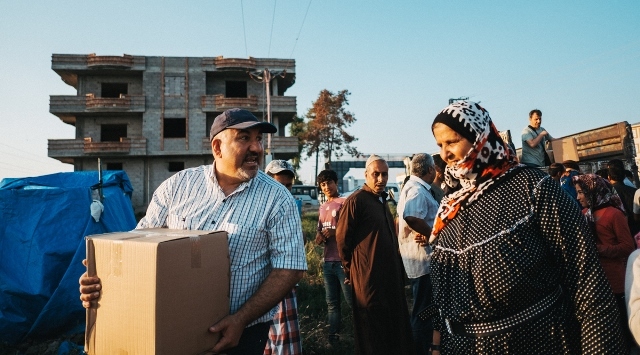 They include the responsible authorities of the city and each recipient of a package is registered and has to prove their identity as a refugee. The helpers and the refugees are so much tougher than I am. They often do not even have the time to sit down for a moment. Now I am sitting down for a moment to write this text. This is a new story of the mission field. It will be hard to forget these images in my head. Probably it is even better this way. 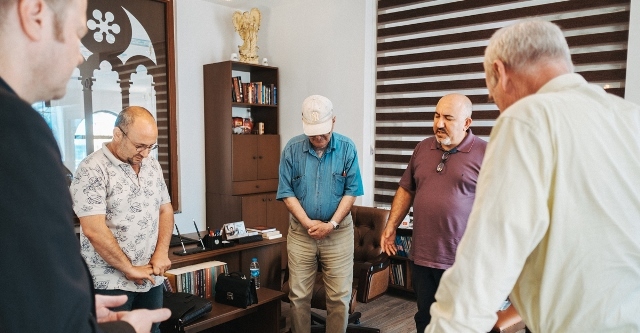 I am realizing that it is time to stand up: The pastors in Turkey are doing an amazing and impressive job just like many staff of EBM INTERNATIONAL in more than 300 projects all around the world. God himself was strong enough not to stay on the throne but come into this world and into our daily lives. All of us can make a difference with our gifts, our money, and our prayers. It is good to realize that we are connected in our joy and pain. There is no reason to be lethargic. We are sharing God’s transforming love that people can live in hope. Everything we share here can make a difference in another place. So after every short rest there is a new encouragement to stand up and to make the world a little better place with small steps.